Fact: Some parents, especially mothers returning to work after maternity leave, have concerns that a childminder will form a closer bond to the child than they do which adds to the emotional concerns of leaving a young child. The reality is that childminders understand that a child’s relationship with parent/s is paramount and are never seeking to replace them. 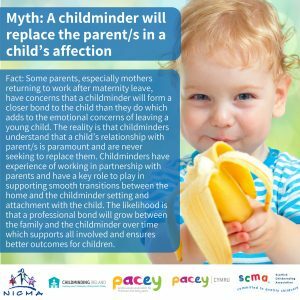 Childminders have experience of working in partnership with parents and have a key role to play in supporting smooth transitions between the home and the childminder setting and attachment with the child. 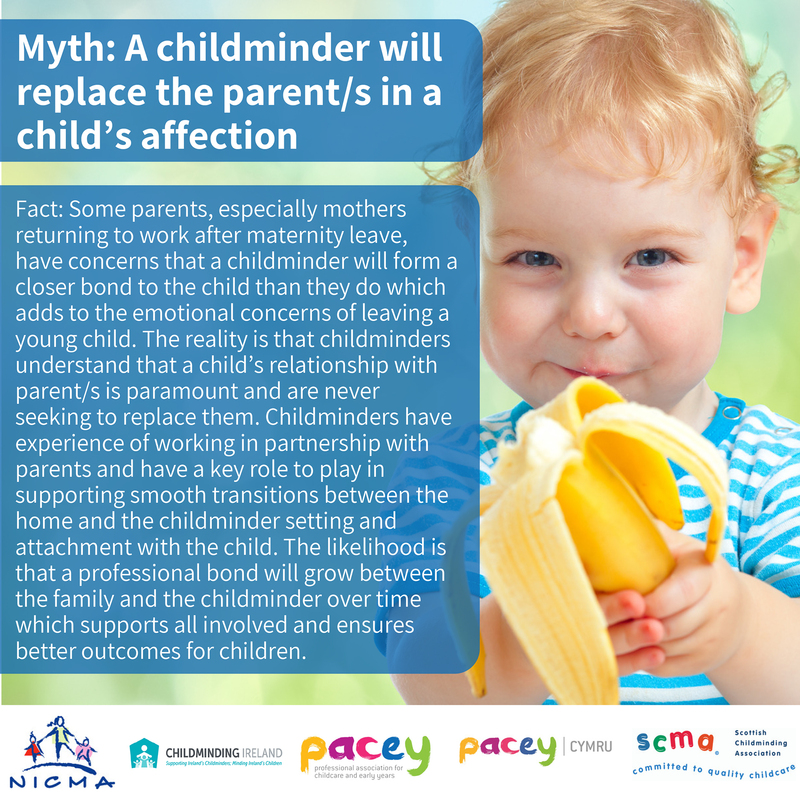 The likelihood is that a professional bond will grow between the family and the childminder over time which supports all involved and ensures better outcomes for children. Click here to view the video explaining this myth.